The Australian Curriculum sets out what all young Australians are to be taught, and the expected quality of that learning as they progress through schooling. At the same time, it provides flexibility for teachers and schools to build on student learning and interest. Every ten years, contemporary views on educational needs for the future are sought and documented. The most recent being the 2008 Melbourne Declaration on Educational Goals for Young Australians, which commits to ‘supporting all young Australians to become successful learners, confident and creative individuals and active and informed citizens’, and promotes equity and excellence in education. The Australian Curriculum means that greater attention can be devoted to equipping young Australians with the skills, knowledge, understandings and capabilities necessary to enable them to effectively engage with and prosper in society, compete in a globalised world and thrive in the information-rich workplaces of the future. The Australian Curriculum has been developed in three phases, with English, Mathematics, Science and History already available for several years. Geography, the Arts and Languages are currently being implemented and the remaining areas – Economics and Business, Civics and Citizenship, Health and Physical Education and Technologies are in the process of implementation over the next twelve months. The Australian Curriculum focuses on an entitlement for all students while acknowledging that the needs and interests of students may vary. The curriculum provides the content, and a set of achievement standards which state the expected quality of learning, in year levels from Prep to Year 10. 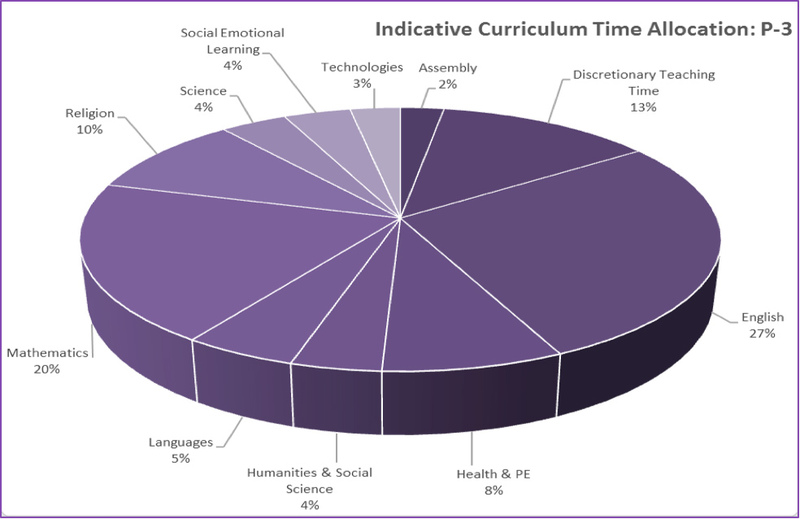 What makes this Curriculum so rich and contemporary is that at each year level and throughout the subjects, there is an explicit focus not only on the content, but on general capabilities (or twenty-first century skills), and cross-curriculum priorities. Catholic teachers and CES curriculum leaders have been actively involved in the development of the Australian Curriculum since its inception in 2009. We are confident that the Australian Curriculum enables teachers to take into account our Catholic culture, our families and our community and that it values the professionalism of our teachers and the local context in which we work and live. For all Catholic schools ‘Christian Faith and Catholic Ethos‘ ought be considered our own Cross Curriculum Priority, just as are the Australian Curriculum’s ‘Sustainability’, ‘Aboriginal and Torres Strait Islander histories and cultures’ and ‘Asia and Australia’s engagement with Asia’. Religious Education will continue to be central to our curriculum and teachers are encouraged to integrate the key understandings across all subjects. The general capabilities ‘critical and creative thinking’, ‘ethical behaviour’ and ‘personal and social capability’, and the cross-curriculum priority – Sustainability – are complementary and integral to our Religious Education curriculum and its practical expression in the Religious Life of our School. NOTE: Religious Education has an integral place in the curriculum of Catholic schools.